Timothy Jones will be charged with five murders, sheriff vows. A father accused of killing his five small children has not said why he allegedly murdered them, an emotional sheriff said today, but the sheriff said the dad appeared "disoriented" when stopped by cops and that they found synthetic marijuana known as "spice" in his car. Timothy Ray Jones Jr. will be charged with five counts of murder, Acting Sheriff Lewis McCarty of Lexington County, S.C., said at a news conference today. The children ranged in age from 1 to 8. Authorities also revealed that one of Jones' neighbors made a complaint on Aug. 8 "regarding some type of abuse from the father to the children," a Department of Social Services official said. Officials investigated that day, but found no reason to immediately remove the children from Jones' care. The case was still open and a second visit was expected to be scheduled, the official said. Jones vanished with the children Aug. 28 from Lexington County, S.C., after picking them up from school and day care the sheriff said. Jones' ex-wife reported him missing, but also told police that he had been unreachable in the past. Nevertheless, Jones and the children were put on a missing persons database. Jones was stopped at a routine vehicle checkpoint in Mississippi on Saturday, authorities said. "When an officer approached him, he seemed very strange, maybe a little bit disoriented," McCarty said. (Smith County Sheriff's Office/AP Photo) This Sept. 6, 2014 photo made available by the Smith County Sheriff's Office shows Timothy Ray Jones Jr. On Sept. 9, 2014, authorities said the father of five children whose bodies were found in Alabama has been charged with child neglect and that other charges are pending. A check of Jones' name brought up the missing persons report, the sheriff said. "They found evidence of cleaning material, material to clean blood... and they saw blood. They saw children's clothes, but no children," McCarty said. The officers arrested Jones on charges of driving while intoxicated and possession of synthetic marijuana. "It's called spice," McCarty said. It's also known as K2 and has been implicated, along with other synthetic drugs like bath salts, in a string of crimes and violent behavior. Jones led police to a dirt road in Alabama where they recovered five garbage bags containing five sets of human remains that authorities believe are the missing children, McCarty said. An autopsy is scheduled for Thursday. "He has not indicated why he did this," the sheriff said. McCarty said the children's mother is "a very nice person, a very sweet lady .. she is in shock and emotionally distraught." The sheriff said the case has also taken a toll on his staff. "Not a person in this room could speak to the mother of these children and not become emotional," he said, referring the investigators with him at the news conference. "I made a promise to these children's mother that I will bring these children home, and I was not going to go back on that," he said. McCarty, tearing up, added, "It's hard to work the murder of a child. Two is very difficult, but five." 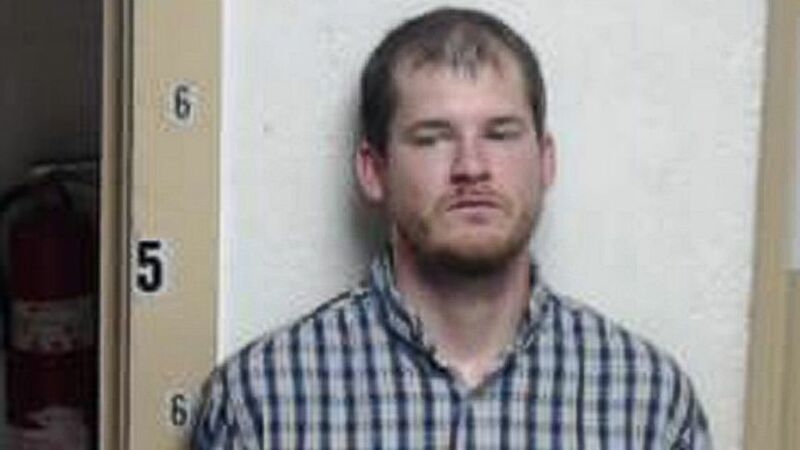 Jones is believed to have killed the children shortly after picking them up, McCarty said. "We feel the deaths took place early on. We're not certain exactly what time, but those deaths came early on in the investigation," he said. Jones then drove for several days through several states, the sheriff said. "These children were in the car deceased in garbage bags for some period of time," McCarty said.